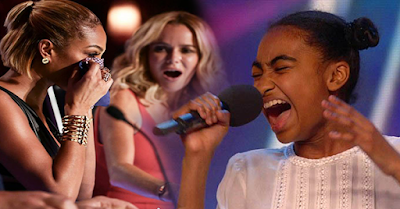 MUST WATCH: A Young Girl Makes The Judges Cry With Her Unbelievable Performance! There are a lot of talented people in the world. Almost all of human being has its own talent. Some people have talent in singing, dancing, painting, cooking etc. So there are many competitions arise that allowing people to show the world their hidden talents. Britain's Got Talent is one of these competitions. This show helps the people to bring out the best in them. Like a young woman who was very nervous when she got on the stage. But conquered her fear when started singing. Jasmine Elcock, 14 years old had a very great performance with her own rendition of "Believe" by Cher. The audience and the judges were very proud of her as they gave her a standing ovation with her performance. Watch the video below to see how lovely the voice of this young girl. Nothing is more beautiful, but when you sing from the heart. It will surely touch the hearts of every listener.